Put a "permanent" stamp on your campaign with the BIC (R) Mark-It permanent marker with fade-resistant, vivid ink. 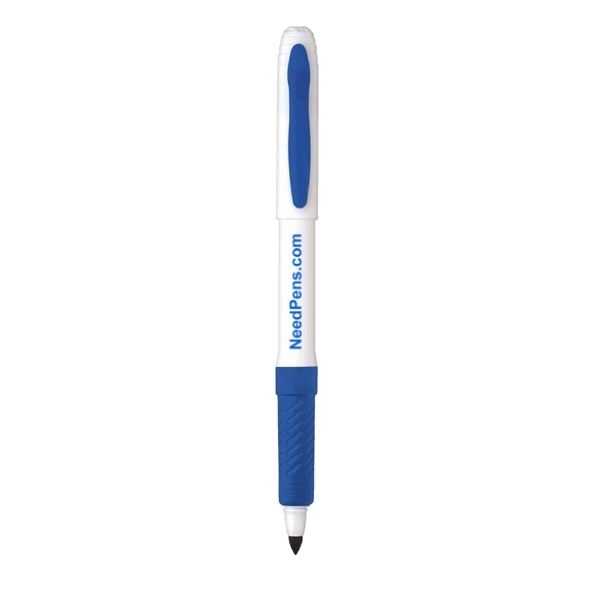 Acid free (no added acid, no measurable pH), this classic imprinted advertiser features bullet nib for fine marking, comfortable textured rubber grip and white barrel. This AP non-toxic marker was assembled in the USA. 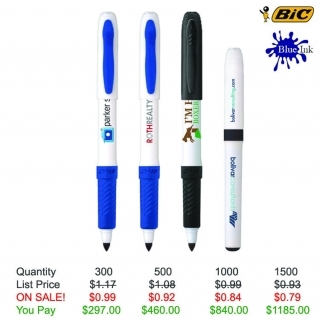 This favor will add the "write" touch to any promotional giveaway. Marker color matches trim color. 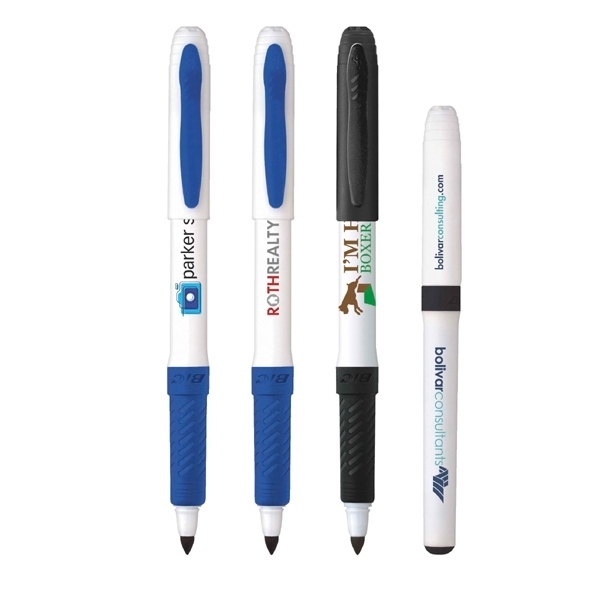 Color Ink/Point: Black or blue ink with medium point - Marker Ink color matches trim color.